The Labor Movement’s Library and Archives (Arbejderbevægelsens Bibliotek og Arkiv) was founded in 1908 and holds 100 years of documentation on the Danish labor movement, among which approximately 3 million photos. The largest collections are the press collections from the social democratic newspaper Socialdemokraten (later: Aktuelt) and the communist newspaper Land og Folk. In 2004, the merge with The Workers’ Museum (Arbejdermuseet) was completed, integrating the museum’s extensive photo collections from trade unions and private persons. Its holdings contain many portraits, mostly of prominent Danes, but also of international celebrities and of nearly every aspect of everyday life in Denmark. img. 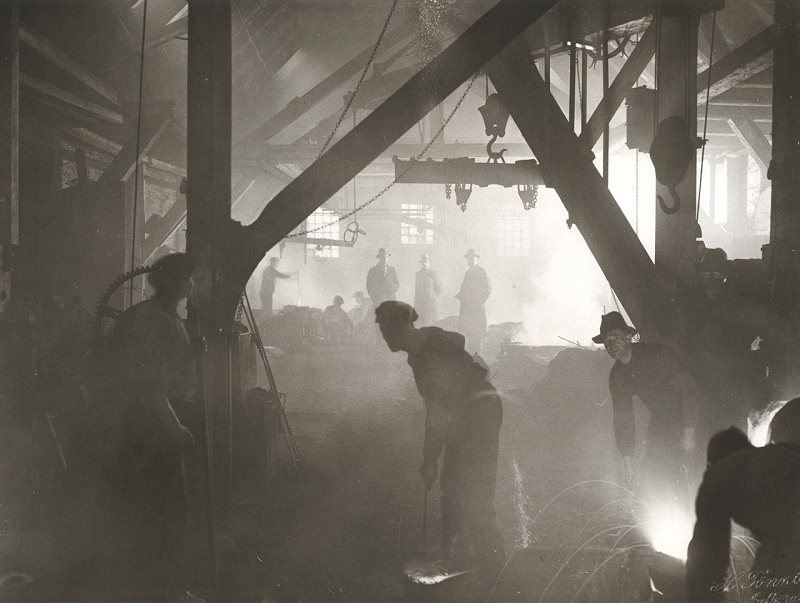 Moulders and unskilled helpers working with cast iron in an iron foundry, Denmark 1920s © Arbejdermuseet.